Tommy relies on his faith, diverse background and extensive experiences when providing care to his patients. Tommy was raised in Bristol, TN and joined MSJC in 2018. He is a Combat Veteran of the US Army, where he served as an Airborne Paramedic. Tommy attended King University, where he obtained a Family Nurse Practitioner in 2015. 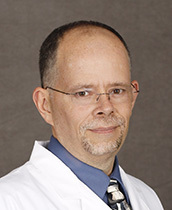 He is a member of the American College of Rheumatology and American Association of Nurse Practitioners. Tommy attends Celebration Church. He feels blessed beyond measure to have always known God's "calling" for his life and the opportunity to fulfill that calling by making the difference in at least one life every day. He, along with his wife, Tracie, serve others on international medical missions to Belize. He credits his faith in Jesus Christ, his wife and family for the support and prayers that have allowed him to become the Provider he is today.